The next Tallinn Architecture Biennale (TAB) will take place between 13 September and 27 October 2017. The biggest architecture event of its kind in the region, TAB is a much-loved platform for emerging ideas in the architecture field. 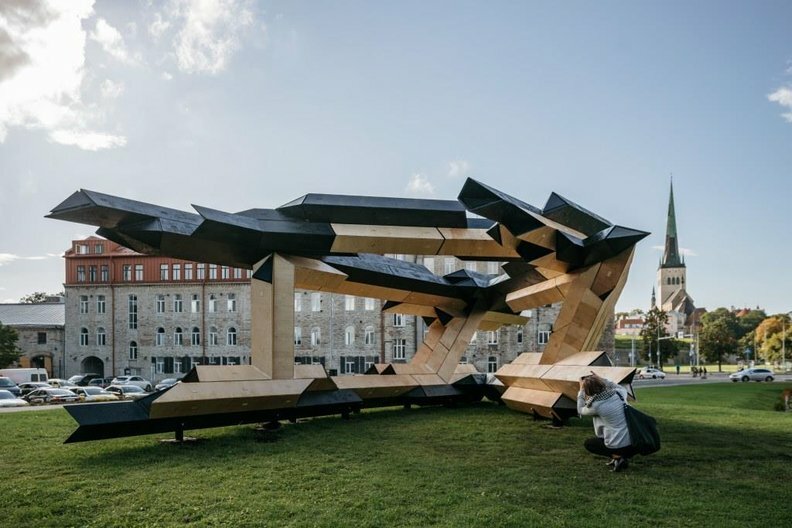 Following an international competition, UK-based Gilles Retsin was selected to design a temporary pavilion called ‘Digital Building Blocks’ to be erected in front of the Museum of Estonian Architecture. Under the main theme bioTallinn, TAB 2017 will explore how urban and biosphere might merge and create a new concept for a city of the future. 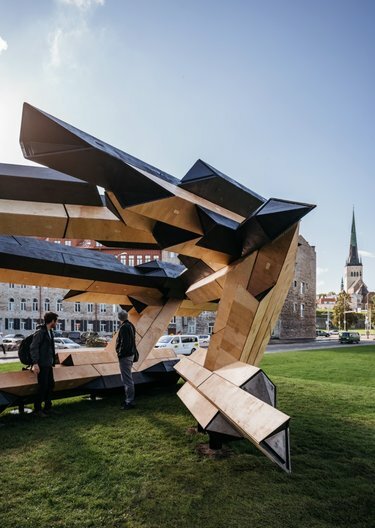 The international open two-stage competition for the TAB Installation Programme challenged participants to develop creative designs for a temporary outdoor installation, making innovative use of the fabrication capacities with the Estonian wooden house manufacturers. London-based Gilles Retsin’s winning project – Digital Building Blocks – stands for a radically new, discrete approach to digital design and production paradigm. The pavilion which will open during TAB Opening Week on 14th September, is based on a universal building block: it uses hollow timber blocks that can be combined into a multitude of different structures. 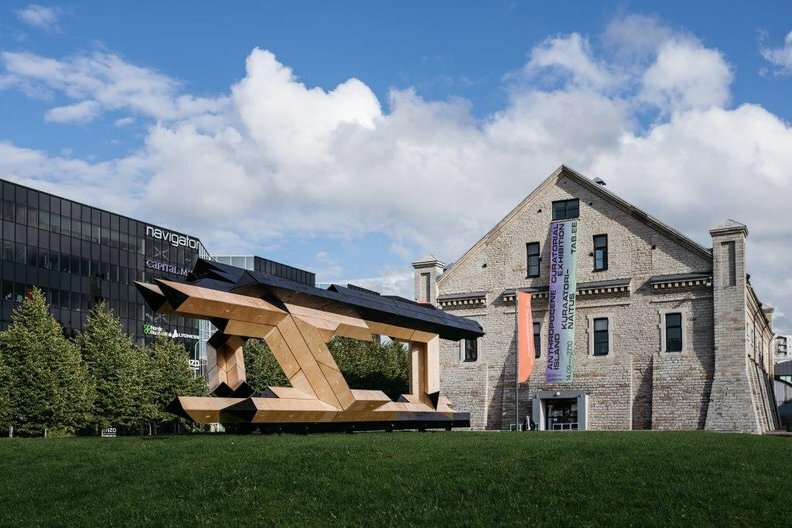 The installation explores how digital design can generate a new construction paradigm for a heterogenous and adaptable architecture which is affordable, open-source and part of a distributed production chain. This architecture is fully digital in its conception, production, material organisation and procurement. Rather than a pure pavilion, the installation has to be understood as housing prototype, more akin to Le Corbusier’s Maison Domino. The TAB 2017 Installation Programme is curated by architects Sille Pihlak and Siim Tuksam from Tallinn-based office part.archi and produced by Estonian Centre of Architecture. The project is supported by the Architecture Design Fashion team at the British Council through one of our Biennales and Festivals grants and will be built in collaboration with students from both the UCL Bartlett School of Architecture and the Estonian Academy of Arts. For further details of the project and to see the full programme of the TAB 2017 bioTallinn, visit the bienniale website.